Are you an animal lover? More specifically, do you love horses? If so, you might be dreaming of making a living by working with horses. In this article we will look at some of the pros and cons of the business of raising horses. If all you know is that you enjoy riding horses—or betting on them—you should start by seeking some expert advice. Don’t quit your day job just yet. Better yet, consider raising horses only if you have discretionary income you can afford to lose. It is possible to make a lot of money by raising thoroughbreds for racing. Some people actually do that. However, even the most expert among them don’t make money every year. Know how much money you can afford to invest, and plan for the initial investment as well as the expenses for boarding and veterinary bills. And remember to expect the unexpected, as well. At the top end, you can expect to invest anywhere from $20,000 to as much as $1,000,000 for the purchase of a single thoroughbred. Keep in mind that if you can purchase more than one horse, you’ll increase your chances of having a winner come race time. As far as expenses go, it can cost around $35,000 a year to keep a single horse in training. What’s more, if your horse should become injured during training, you can most likely kiss your entire investment goodbye, right then and there. Find someone who knows horses and can advise you about which horse or horses to purchase. You’ll want someone who knows pedigrees and breeds, someone who can help you to purchase your horses intelligently. So choose an adviser with established credentials and a proven track record to back them up. The right adviser can also help you to find a well run stable and hire a great trainer. You can minimize your financial risk by joining with other horse owners. In this way, you could simply purchase a stake in a single horse while you learn more about the business. The amount of money you’ll be able to make depends on the horse and the race. There’s no guarantee, of course, that your horse will win. Only the first-, second-, and third-place horses win money in a race. In the big races, such as the Kentucky Derby, a winner could earn its owner a couple of million dollars. However, the odds of being able to race your horse in that prestigious race the first year you’re in business are pretty slim. Most likely, you’ll be looking at smaller races with smaller purses, at least for your first few years of raising horses. In order to make money by raising thoroughbreds, you need to sell them when they’re at their peak. That is, just after they’ve won a race and when they are in top physical condition. That can be a difficult thing, though, as by that time, you will probably have fallen in love with your horse. However, a stallion with an excellent pedigree, who could father as many as 150 foals a year, could be worth as much as $20,000,000. A pedigreed mare, because she can only give birth a single time every year, would likely bring in only about half that amount or less. If you just want to be around horses because you love them, there are other ways to go. For example, you could go into breeding horses. 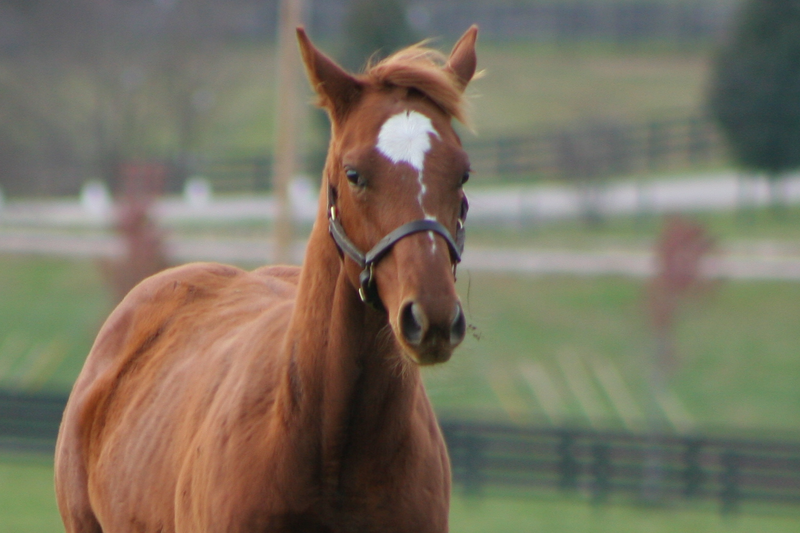 Your source of income in this case would be from selling foals from pedigreed mares who have been mated with stallions who are also from good bloodlines. While it can take several years to build up a profitable business in this way, it can be a less stressful way to make a living than raising horses to race them. The bottom line? Whichever route you take, don’t go into raising horses with the thought of getting rich quick. Most likely, that simply will not happen. But if you love horses, and you have more money than you need, this could likely be the business opportunity of your dreams.